Adorable capris in heavenly susti! They feature deep side pockets and, like all of our pants and skirts, a wide elastic waist stitched in three individual rows so they won't pinch. They're truly as cozy and natural to wear as your favorite jammies! 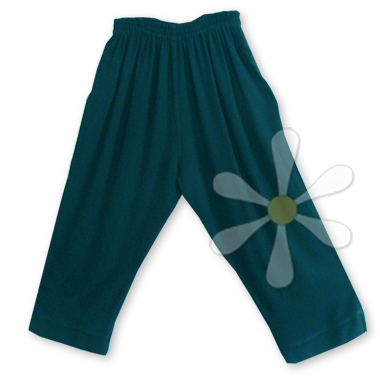 And the handmade quality of these free size pants is simply superior and gives them great durability. Express your inner WILD WOMAN every day... start with what you wear. Easy enough, no?